Henna and Basma - natural dye, known since ancient times. Staining them does no harm to hair and even promotes their growth and increase density. Decide the desired color. To obtain a black color need Basma and henna in the ratio of 2 to 1, brown - 1 part Basma and 1 part of henna, a reddish - 1 part Basma and 2 parts henna. In a bowl pour Basma and henna in the desired ratio and dilute with warm water. The mixture should have the consistency of thick cream. Add a few drops of lemon juice. Cover the bowl with wrap and allow the mass to infuse for a few minutes. Degrease the skin to eyebrow lotion. 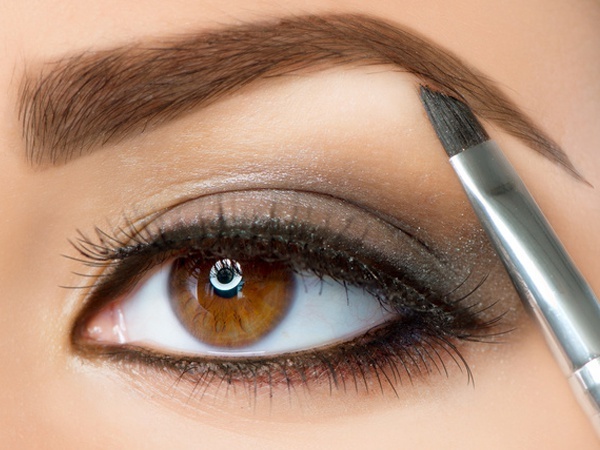 To avoid staining of the skin around the eyebrows, lubricate it with vaseline. On the brush type small amount of paint and start to paint the hairs from head to tail. Comb the eyebrow brush to evenly distribute the paint. Small pieces of foil cover the eyebrows, it will retain heat and increase the dyeing process. A minimum of 40 minutes (maximum 1.5 hours) rinse the paint from the eyebrows cotton pad dampened with cool water. The longer the dye is on the hair, the darker the resulting color. Ensure that the weight for the coloring does not dry out. To do this, cover it with tape when not in use. Do not rinse the paint with hot water to wash away most of the pigment. For painting, choose quality Indian henna and Basma. If the paint got on the unprotected areas of the skin, wipe them with a cotton swab.